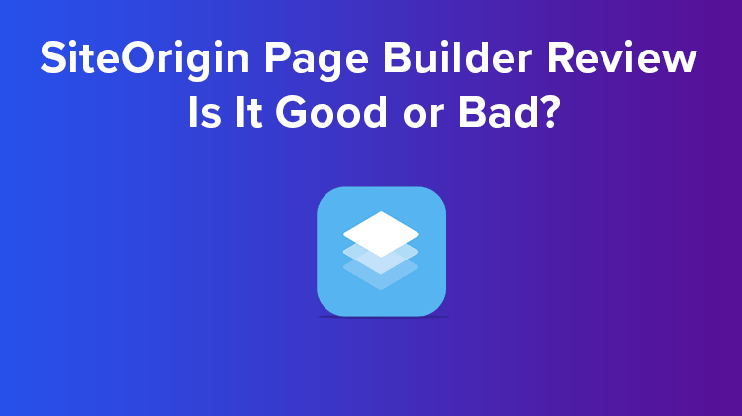 Page Builder By Siteorigin Review - Is It Good or Bad? SiteOrigin Page Builder Review – Is It Good or Bad? Website building is no longer a domain limited to the technically skilled people. With the latest tools available, you can create your website instantly, without tweaking a line of code. Thanks to the page building tools that make the task easier for everyone. So now website building is just a matter of drag and drop. In this article, we’ll talk about one of the best and free drag and drop page builder – The SiteOrigin Page builder. 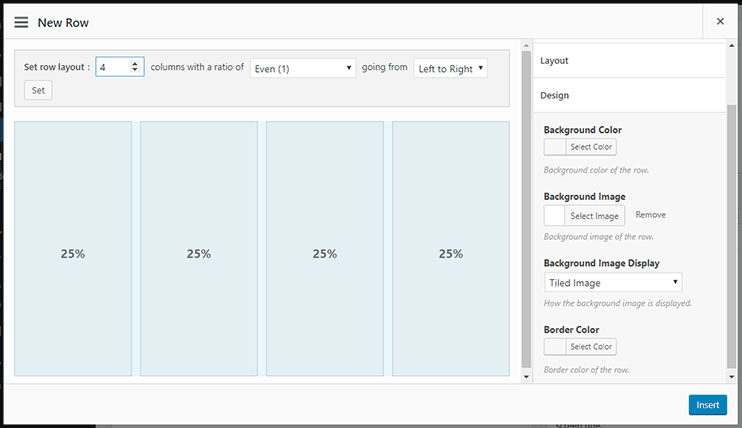 It is free and lets you create page layouts with easy drag and drop options. So here are the few features of the Page Builder by SiteOrigin. It can be integrated into your website by installing the plugin, and you can start creating the page layouts you want with all the intuitive options. WordPress is a website builder that eases website building. And with the availability of the advanced tools like the drag and drop page editors, it just got easier. Whether you are a programmer or a non-techie, a page builder always helps. If you are a person with little or no technical skills, a page builder helps you create your website with easy drag and drop options. And for programmers, such plugin will help save time and efforts. The drag and drop page building will help you get your website created faster and with lesser efforts. And what more can you ask for? The SiteOrigin page builder is free to use. You get the best and easy page building options at no cost at all. So you won’t have to go for specialized themes to use it. SiteOrigin page builder is designed to work all the themes without any problem. In fact, the page builder is designed to support your theme and to make your website building easier. 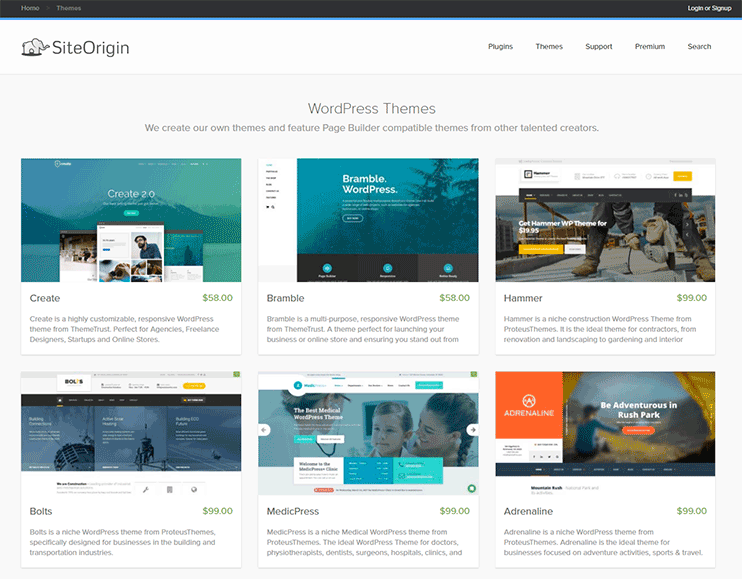 Here are a few themes by SiteOrigin that you can try the SiteOrigin page builder on. SiteOrigin page builder lets you create websites with easy drag and drop options. Want to add a new row? Just click and set the row structure, and your row is ready. Want to add an image? Drag the image widget to the section you want to add it and configure it to show the image you wish. Therefore, everything can be controlled with mouse clicks. Create the page layouts of your choice without tweaking a line of code. Also, the page builder will create a clean, error-free code for the layout you create. Being responsive is an important feature for your website. Not just for ease of access, the responsiveness of your website is also important from the SEO point of view. All the rows and widgets you add through the SiteOrigin page builder, are responsive. This ensures that your website designed with the drag and drop options performs well on any device it is viewed on. The history feature is a great way to keep a track of all the changes and edits you’ve made to your site using the SiteOrigin page builder. If the website is being managed by different persons, then it’s nice to have a log of the changes made. Not just for keeping track of your website can undo and redo the changes from here. Many times you might have heard of the problems caused due to new plugins in a website. 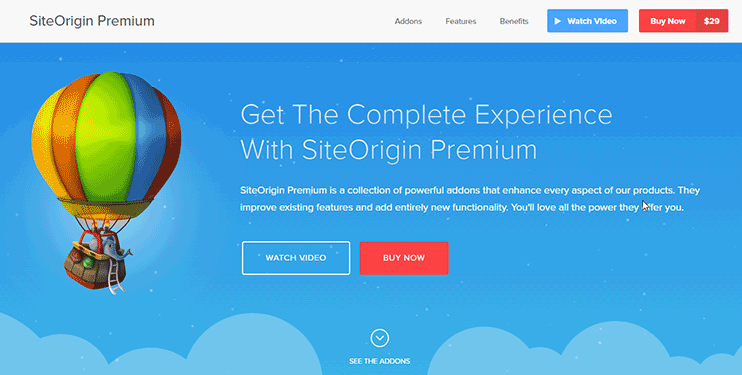 SiteOrigin promises not to disrupt the speed and efficiency of your website. 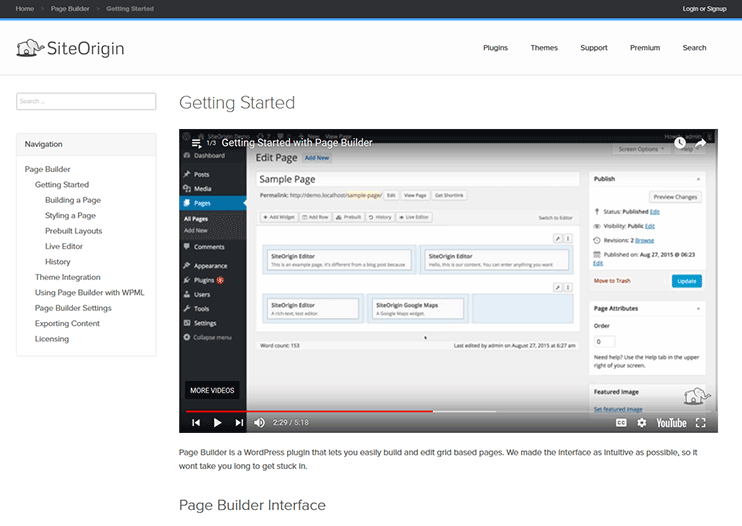 The page builder by SiteOrigin many times lightweight than most of the WordPress page builders. Also, it is SEO friendly. If you’ve been using WordPress, you should be familiar with the WordPress’ live customizer. Live editing with SiteOrigin’s page builder is more or less like that. It shows you a live preview of the changes you make so that you can decide on the ones you want to save. The Live editor reflects the changes in real time. The page builder by SiteOrigin lets you add new rows to the existing page. But how would the new row fit into the existing design without a few customizations? But don’t worry. The SiteOrigin page builder lets you style the rows and customize the widgets that you add to your website. Layout options: These are the options through which you can specify the arrangement of the row. You can decide the space between two rows, the cell padding, the row layout, etc. Design options: While the layout options lets you set the structure of the new row, the design options will let you style your row to fit the theme design. Here, you’ll find options to set the background color as well as image. You can use the pre-built layouts available with the SiteOrigin page builder if you don’t want to manually create the pages. The basic SiteOrigin page building tool lets you add rows and create sections and customize it as per the requirements of your website. If you need extra widgets, you have the Widget Bundle plugin by SiteOrigin. The widget bundle plugin is basically – a bundle of useful widgets. The most important widgets include buttons, images, call to action, post carousel, etc. The widgets are totally customizable and easy to use. You get advanced forms and icons that you can include into your website. With the customizable elements provided by the widget bundle, you can create beautiful buttons, tables, and slider in minutes, and obviously, without touching a line of code. The Good News is: The widget bundle plugin is free too! The page builder by siteorigin attempts to ease the website building process not just for the non-technical people but also for the programmers. If you are a web developer who creates client’s website, this plugin will reduce your efforts and the development time. Also, the page builder comes with an intuitive interface and options, so you can explain it to your clients so they can implement the minor modifications on their own. When you create a page using the SiteOrigin page builder, a clean code is generated that you can use for advanced customization. If you wish to develop for the SiteOrigin page builder, you can use this reference documentation. So you can create new widgets of your own and use them into your website. The SiteOrigin page builder is easy to use and for initial guidance, you can use the in depth documentation with videos as well as text explanation. Besides, you can even take help of the support. Your queries are supported by the active forums where you can register and search the question or post your query. The plugin is actively updated with new features and modules. Moreover, the updates are free too. 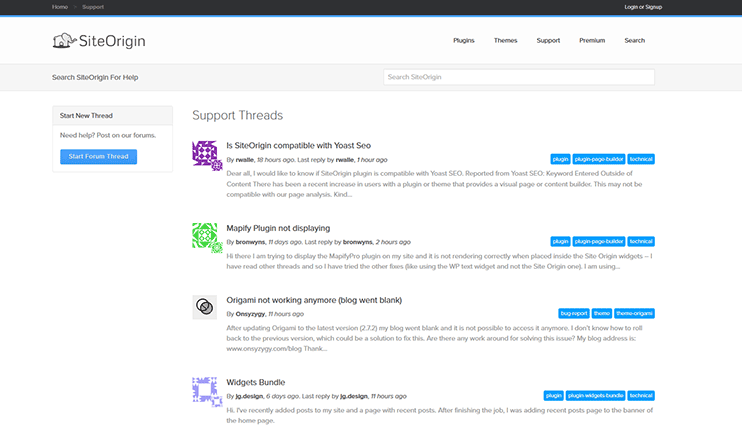 The plugin is updated for bug fixes, new features as well as adding new widgets. You can easily update your website with the latest updates from SiteOrigin. This way you can start using the new features as soon as they are released. Definitely, it is. SiteBuilder plugin is easy to use. Moreover, it makes your website building easier with all the simple and intuitive options. Once installed, it adds a new tab on your website. 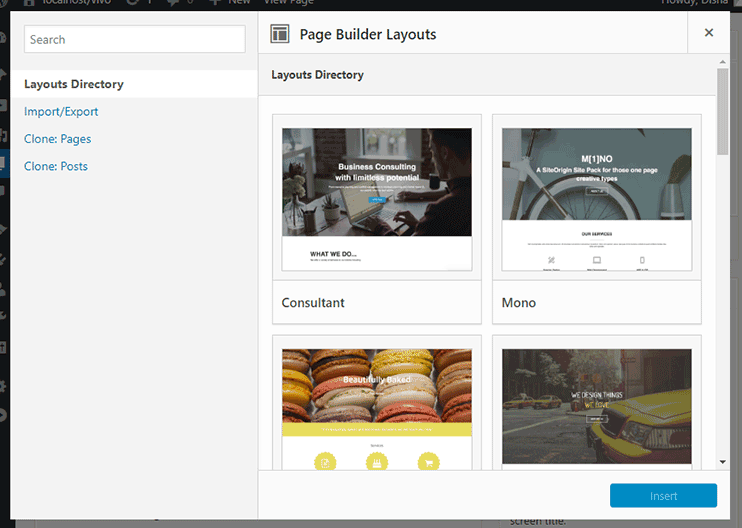 The “Page builder” tab will let you use the drag and drop options to create your website. So compared to the other popular page building tools, the SiteOrigin page builder has really easy and intuitive options. Anyone can use it to create layouts of your choice. Mostly all the software you get for free is the lite version of the actual software. So they come with very basic features. But that won’t happen with the page builder by SiteOrigin. The free version of the SiteOrigin page builder comes with almost all the desired features inbuilt. SiteOrigin premium is priced at $29 which is more affordable compared to the premium versions other page builder plugins. The premium version contains advanced features. For instance – Lightbox, theme enhancer, post carousel, and accelerated support. But these are just enhancements. Even the simple SiteOrigin page builder widgets can help you create amazing layouts in minutes. 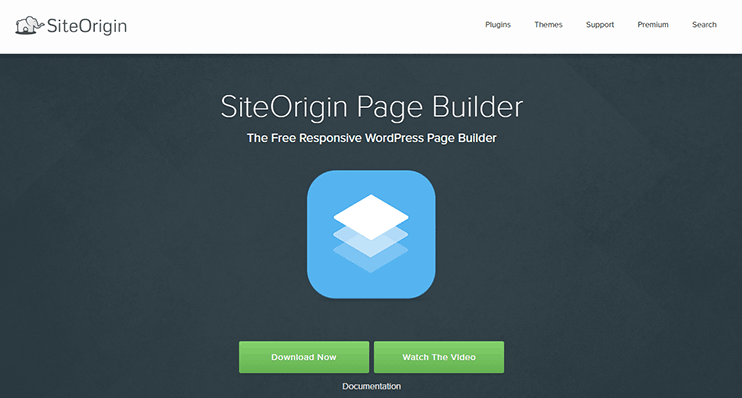 The SiteOrigin page builder is free and has so many features and modules. Generally, most of the popular page building plugins, have their free versions and you can go for a paid premium version for advanced features. SiteOrigin’s page builder is totally worth the try! I have been using the free Site Origin Page Builder for building websites for the past two and a half years and I like it very very much. The free version let me do anything I wished. Does anyone know if it’s possible with Site Origin Page Builder to create a Home Page with all Affiliate Links and NO BLOG POSTS. I have written some articles, but do not want a blog site. Would rather write to describe the Affiliate’s products, for directing customers to make sales. In my humble opinion, constantly writing website blogs wastes my time. I do local speaking engagements instead. The conversion rate of a live presentation is far greater than blogging. Just did one last night, with nearly 50% of a small audience becoming new customers. Thank you Site Origin Page Builder experts for helping me out!